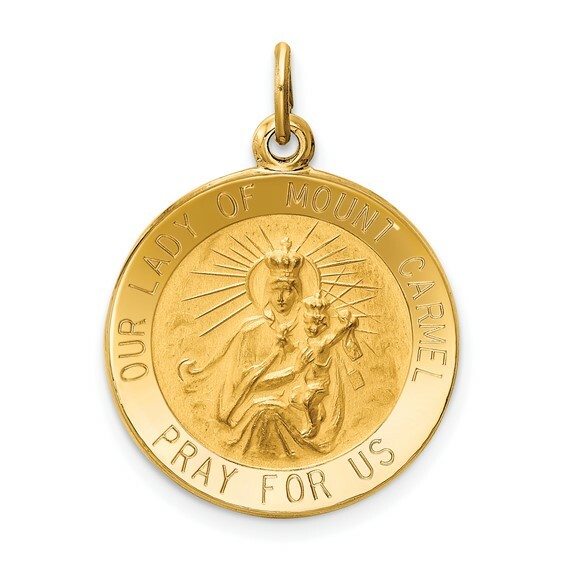 14kt yellow gold Our Lady of Mt. Carmel Medal Charm. Item measures 11/16 inch round without loop and bail. This item is the size of a penny.